Do you know the good effect of nutritious foods for your health? Do you know what kind of food to serve on your table for breakfast, lunch and dinner? For desserts, are you aware that there are healthy recipes that you need to learn and serve? Most of us like to eat healthy foods and serve them to our own family. If you think that consuming great amount of foods every single day is right, this thought is actually not proper. Eating the right way means choosing the right choice of foods. If there are foods to eat and cook, organic ingredients are best served. It is very important that you know the bad and good effects of what you are eating to your health. When it comes to dessert, most of the time we prepare the sweet ones. Most desserts are actually bad to our health and to our kids’ health. But, you have different ways to make your dessert healthier and maintain its delicious taste. To maintain the good health and nutritious elements of dessert, prepare some organic ones. Here are some ideal desserts that you can cook and serve on your dining table. Ice cream is actually a well-known and favorite dessert by kids and even adults. Since the ingredients are mostly fat, this is not good for your kids’ health. The good news is that you can replace the traditional ice cream to fruit pops. It looks and tastes like popsicles, but healthier and better to consume. What’s more interesting is that, you don’t need any recipes or several times to make this dessert. Just simply mix fruits that you like, then add splash of their natural juice, and fill the Popsicle molder. 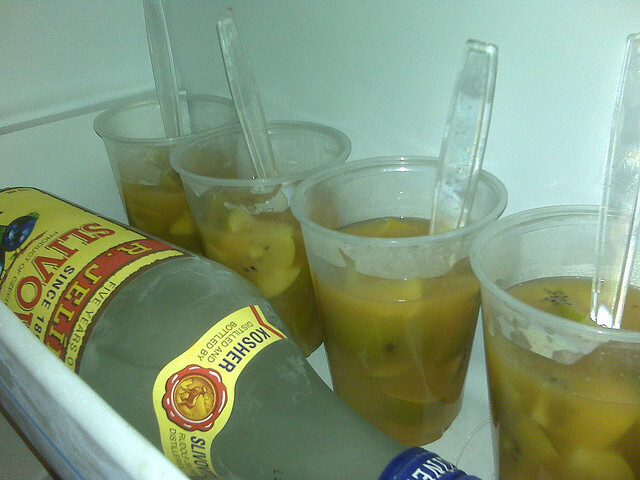 Store them into the fridge and let it cool down until ready to serve. Your children would surely love to have a bite. This is another healthy and delicious dessert to prepare for your family. 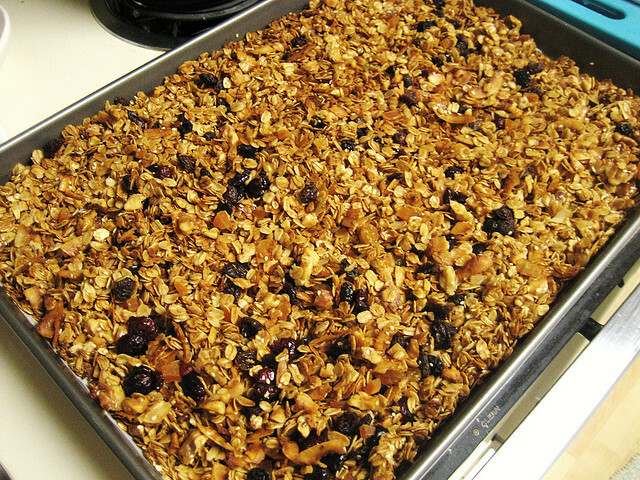 You can make homemade granola dessert by beating homemade granola and put in a tray or bowl. Choose any three or five kinds of fruits of your choice, such as slices of mango, a mix of berries, shreds of coconut shreds, or chunks of pineapple. Add those fruits to your granola and blend them. Top it with low fat yogurt or cream and other fruits like strawberries and kiwis. If you want to satisfy your boys and girls’ appetite, parfait is a very ideal option. You can maintain the maximum nutrients if you choose the right fruits. As you can mix other fruits, berries are definitely perfect to fill in the glass. Strawberries, blueberries, and raspberries are organic, but when you add cream and yogurt, select the low fat ones. 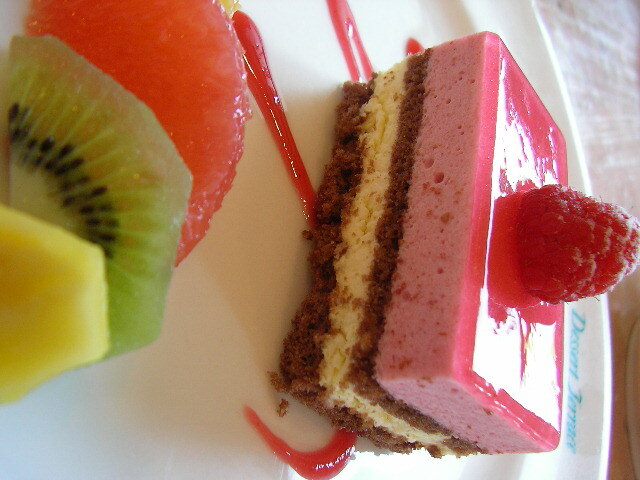 It does not take you a long time to finish preparing this kind of dessert, too. Just make sure you cool it down in the fridge to make it a lot more delicious. 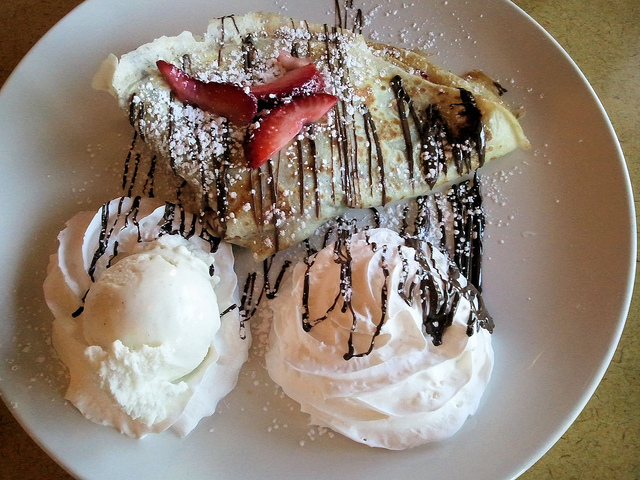 Chocolate crepes are good for people who like chocolate and pancakes. I’m pretty sure young children would love this. This dessert is thinner than pancakes, but a good alternative for the traditional pancake. And this is not served as breakfast, but as dessert for lunch or dinner. To add variety to the sweetness of the chocolate, add some slices of fruits like strawberries. Mix them with low-fat cream and sprinkle some granola or nuts and seed. This next dessert is also a common choice, but also a favorite of most people. You can choose any flavor of ice cream and add to some bananas. Add a little syrup of chocolate and top with cherries. 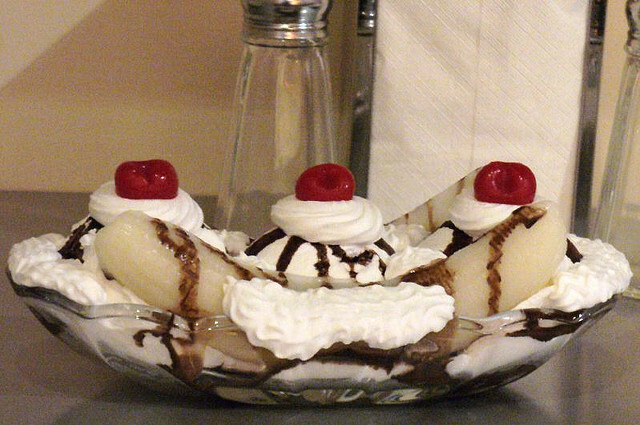 That’s how easy to make a bowl of banana split, but chill for several minutes before you can serve. A tray of mango float is also a great choice of dessert to serve for the family. You use crushed Graham crackers and make layers, then in between each layer fill in cream and slices of mango. This is also a quick and easy recipe to make, but additional time is required as you need to cool it in the refrigerator. Banana is very delicious and healthy, as it holds many vitamins. You can make lightweight banana crème within several minutes. Just blend some banana with cream and milk, but you can add other ingredients like nuts and seeds to sprinkle afterwards. Next post: Egg Rolls with Vegetables – What are the Variants?